As much as we love our kids, let’s be honest – they can be little rascals! 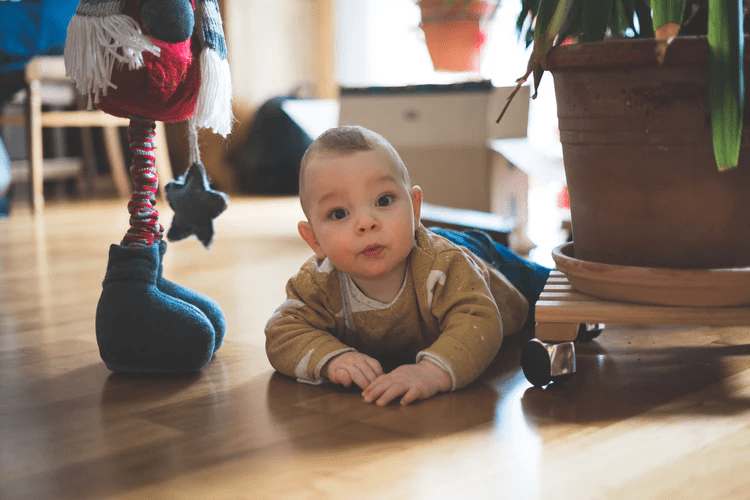 As they naturally begin to become more and more curious (while simultaneously learning how to walk), the home becomes a labyrinth of discovery just waiting to be explored by your little Christopher Columbus. This means childproofing becomes an unwelcome necessity in and around the home that, while serving a great functional purpose, can make your home feel a little bit like a prison. But baby-proofing doesn’t have to mean child locks, barriers and railings. Today, we’ll show you how making your property child-friendly rather than child-proof can create an environment that balances fun and practicality to turn your house into a family home. There’s a reason school classrooms are packed with bright colours. Colour is proven to have significant effects on human emotion, as well as possessing huge influence over a child’s development. Utilising colour for its psychological associations can, therefore, serve as an effective child-proofing method that simultaneously livens up a room. Children are taught to associate red with danger from a very early age, so adding a lick of red paint to a medicine cabinet or any other ‘no-go zone’ can be a great way to ensure your child thinks twice about peeping inside, while warming up the interior of the room at the same time. Utilise colour in this instance as extra reinforcement, maintaining the use of a child lock to keep out those mini Evel Knievels who aren’t phased by the menacing red. It doesn’t stop there, though – colour can be used for functional purposes, too. Cleanliness doesn’t quite top the list of any littlies’ characteristics – in fact, we’re not totally convinced it’s on their list at all! Picture the scenario: little Stevie has been rolling around the living room floor all morning, after demolishing his breakfast both figuratively (by gobbling half of it down) and literally (by smothering the other half across his face, clothes and just about any available surface). Naturally, the next thing on Stevie’s to-do list is to run his grubby (yet adorable) hands and fingers all over the sofa. Not to worry! By using brightly coloured fabric on your furniture, grub marks will be less visible and fabrics will be more easily washed whenever needed – all while livening up your interior in the process. When it comes to creating a hospitable, child-friendly environment, the key is practicality. Evaluate how interior choices around your home will stand up to the ultimate test of any material – your child. Let’s take the bathroom, for example. While parents will spend hours upon hours ensuring every nook and cranny of their bathroom is locked, safe and secure, they can often overlook the overall function of the room as a result. By opting for bathroom tiles on your walls and floors, you can rest assured that the durability and lifespan of the tiles will make sure your child can’t wreak too much havoc on your bathroom interior. A great way to child-proof your walls from your two-foot Van Gogh’s next masterpiece is to, well, embrace it! 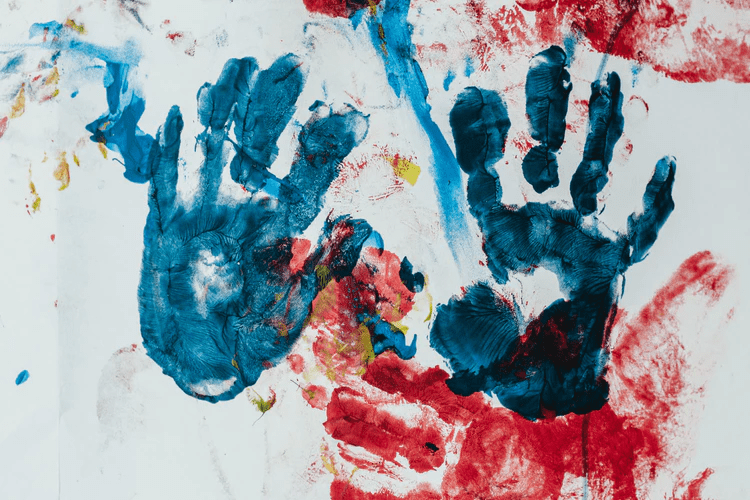 If you set one wall in the house aside to allow for a little creativity – perhaps in your little one’s own bedroom – your child will be less inclined to deface the rest of the house with his or her own spin on The Starry Night. Childproofing your home doesn’t have to mean the end of the fun and games. Following these tips will ensure your home stays lively and aesthetic, functional and fun, all the while keeping your child (and your home!) safe and secure.